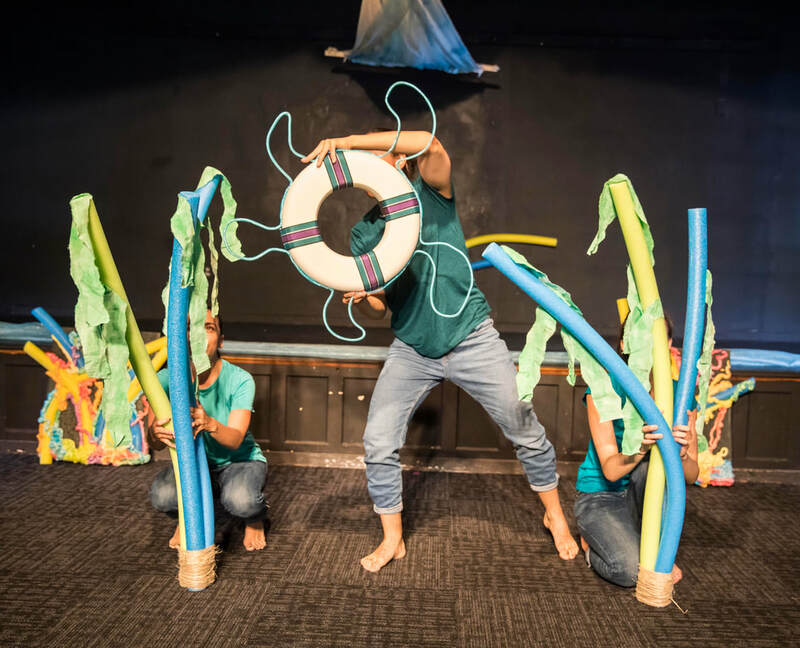 By the Seashore takes us on a magical journey to a place children love to visit - the beach! 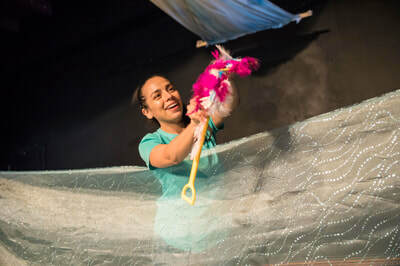 From birds and fish, to sand and water, and everything in-between, young audience members are invited to explore all the amazing things we find on the shore, in the ocean, and in the sky (with no need for wings or scuba gear!). Using an imaginative mix of puppetry, movement, and sound, this sensory-filled production is specifically designed for babies and young toddlers. All online ticket sales have closed. Saturday, July 29th performances on a first come, first served basis. Check these great reviews of By the Seashore from Capitol Momma and Bee in DC! Kate Debelack (Director/Co-Creator) is a DC-area director and actor and a proud company member of Arts on the Horizon. Kate previously directed Sunny and Licorice. Other directing credits include the One Minute Play Festival, Capital Fringe, and Cherry Red Productions. D.C. acting credits include: Kennedy Center Theater for Young Audiences (American Scrapbook), The Shakespeare Theatre (Ion), The Studio Theatre (Fat Pig, Long Christmas Ride Home, Ivanov, Blue Heart), Studio Theatre 2ndstage (Bat Boy the Musical, Love’s Fire, The Wild Party), Taffety Punk (Measure for Measure), Forum (The Memorandum), Longacre Lea (Dogg’s Hamlet/Cahoot’s Macbeth), MetroStage (Electra), and Cherry Red Productions (Cinema Verité, Anger Box, Worm Girl, Spamlet, and Zombie Attack!). 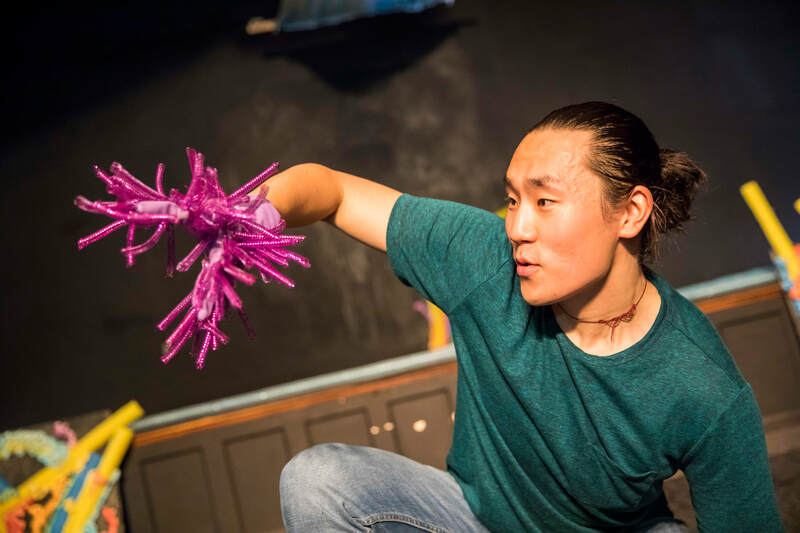 Regional: New York International Fringe Festival, Seattle’s 5th Avenue Theatre. She is the Associate Artistic Director of The Klunch and teaches at the Studio Theatre Acting Conservatory. ﻿﻿Kat Fleshman (Set and Props Design) is a DC area props designer, and is so excited to be making her design debut with Arts on the Horizon! She is a full time teacher at Carver Center for Art and Technology. Recent credits include: Sweeney Todd (Red Branch Theatre); Hooded, Charm (Mosaic Theater); and Matt and Ben (Flying V). ﻿﻿Kira Burri (Resident Stage Manager) is an actor and stage manager in the DC area. She was introduced to theatre at 8 years old, and she's hasn't looked back since. She has previously stage managed for Arts on the Horizon's tour of Point a to Point B, Nutt and Bolt​, and Adventures with Mr. Bear. Other recent theatre credits include Company, Big Love, Oedipus, and the world premiers of La Perdida and Legacy Street. She has also worked with Longacre Lea, serving as an assistant stage manager and performer in Pol Pot and Associates LLP. Kira received her BA from Catholic University. She would like to thank Michelle and the entire Arts on the Horizon team for giving her this wonderful opportunity! Guadalupe Campos (Puppeteer) is a DC-area actor, and is thrilled to make her Arts on the Horizon debut. Credits:National Players T68: The Grapes of Wrath, Hamlet, and The Giver. She recently read the role of Yazmin Ortiz in Water by the Spoonful at Olney Theatre Center’s Pulitzer Reading Festival. 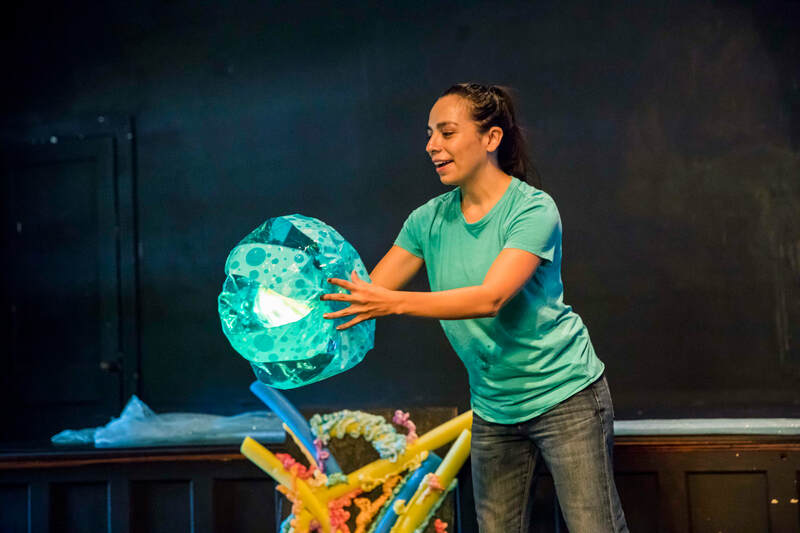 Regional credits include: North Dakota Shakespeare: Romeo and Juliet; TheatreSquared: Amadeus, Hamlet; NWA New Play Festival: The Quest for Don Quixote and Just Like Us; ​and The Border Theatre: Empanada Loca (Co-Produced). Graduate and college credits include leading roles in Twelfth Night, The Cherry Orchard, Kin, Time Stands Still, The Clean House, and Three Musketeers, among others. 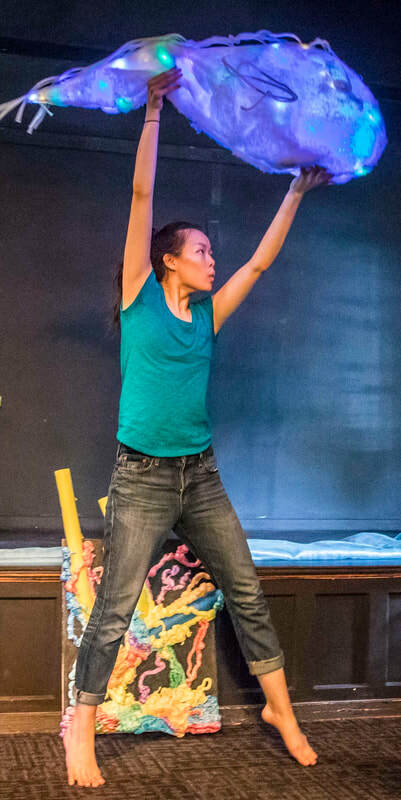 Guadalupe is a member of 5 Months Pregnant, an all female Long-form Improv group based in North West Arkansas. She is an El Paso, TX native and was educated at The University Texas El Paso and University of Arkansas where she received a B.F.A in Theatre and an M.F.A in Drama respectively. Zana Gankhuyag (Puppeteer) is a DC-area actor. Credits include Synetic Theater: The Hunchback of Notre Dame (Phoebus); Sleeping Beauty (Prince), Twelfth Night (Feste), Man in The Iron Mask (Fouquet), Romeo & Juliet (Romeo), As You Like It (Silvius, u/s performed), Alice in Wonderland (Doormouse), Much Ado About Nothing (Verges), Home of the Soldier (Kid), Beauty and The Beast (Ensemble), A Midsummer Night's Dream (Snake, u/s Puck), Hamlet (Guildenstern), Three Musketeers (Ensemble), Trip to the Moon (Pres. Barbonfouillis). Mason Players: Six Characters in Search of an Author (Young Actor). Yorktown HS Theater: One Person Show (Sosuke). Governor's School: It's Called Sugar Plum (Zuckerman). Training: Senior at George Mason School of Theater, Yorktown High School, Governor's School for Performing & Visual Arts, and Synetic Theater's Teen Program. 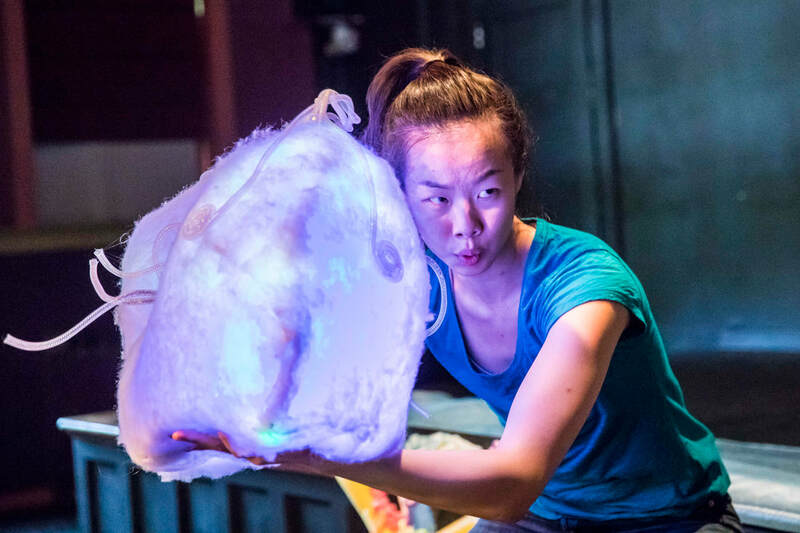 Sydney Lo (Puppeteer) is a DC-area actor and is thrilled to be making her Arts on the Horizon debut. Previous credits include: Pointless Theatre Company: .d0t:: a RotoPlastic Ballet, King Ubu. 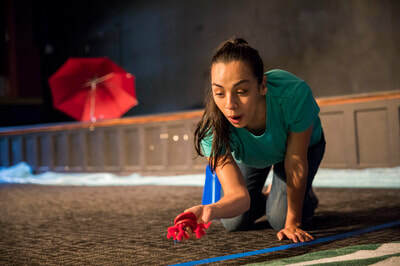 Young Playwrights' Theater: A Yellow Line, Red in Cage. Virginia Shakespeare Festival: Cymbeline, Romeo and Juliet. William and Mary Theatre: Spring Awakening, The Coast of Utopia: Voyage, How I Learned to Drive. Sydney is a recent graduate of the College of William and Mary and will attend Southern Methodist University's MFA Acting Program beginning in August 2017.